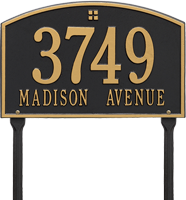 The Whitehall Products Cape Charles Standard Lawn Address Plaque (Two Lines) displays your address in style. The address plaque is made from rust free cast aluminum providing excellent quality. 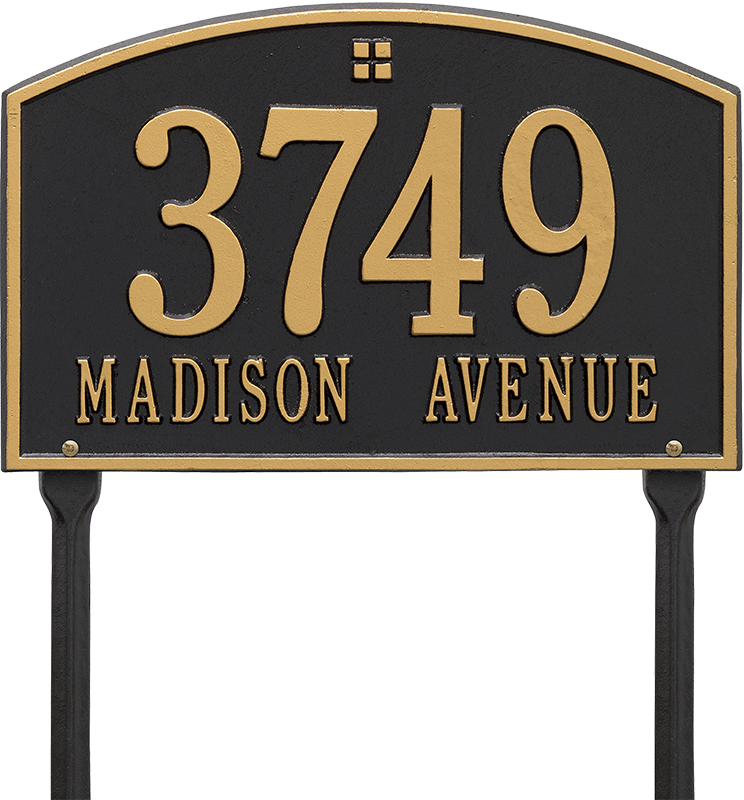 A classy emblem adds distinction and charm to the top of this house number sign.